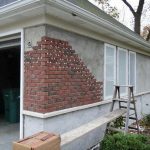 Tuck-pointing is the repair and replacement of mortar between broken brick or stone walls. Cracks, voids, crumbling mortar, or even areas of mortar from settling or foundation problems are common in masonry work from general exposure to the elements after 25-30 years. Intense freeze and thaw cycles or shoddy installations can sometimes cause these problems sooner. Large holes and washed out mortar are typical signs that tuck-pointing is needed. Joints, the visible area of mortar adjoined to the stone or brick, can be installed in any number of ways. The mortar can be flush with the mortar, angled in either direction, recessed, rounded, or in a V configuration. 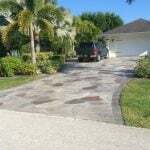 Each design has varying levels of effectiveness in repelling water and aesthetic appearance. Flat and angled joints are more popular with common brick. Rounded and recessed joints are more popular with face brick. Mortar mix is another key component in proper tuck-pointing installation and also depends largely on the type and condition of the brick wall. 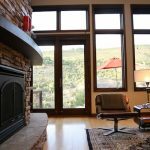 Not all mortar mix is created equal and you can choose your mortar based on performance, appearance, and cost. 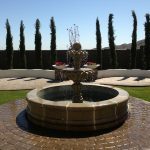 Although the right material and technique are usually enough to deliver a water-tight job, it usually takes the skill of experienced professionals to use the proper mortar mix and tools to match existing mortar. The U.S. Department of the Interior Office of Historic Preservation has established standards to preserve the appearance of older buildings and to avoid irreparable damage during repointing and in the future. Often modern hard cement mortar cannot be used in older buildings because applying modern mortar over old lime mortar can result in serious damage to the original building materials and may not last. It is important that new mortar match the original in porosity and compressive strength. Need to find a pro for your tuck-pointing? The quantity, accessibility, and condition of existing joints can determine how much your tuck-pointing is going to cost, but a typical installation will run you around $7-10 per square foot under normal circumstances. 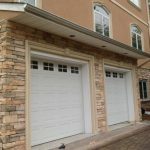 You should have this project done somewhere between late spring and early fall to avoid any early freeze and thaw cycles that could harm the new mortar. 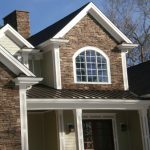 Even if your mortar and joints are in generally good condition, some homeowners want to improve the look of their brick with decorative tuck-pointing. Using a lime-based mortar you can frame your bricks with white lines that many people find pleasing. You should look at pictures of decorative tuck-pointing to see if this is something you’re interested in. Obviously, many homeowners wait until their old mortar needs to be replaced before investing in this otherwise cosmetic process. 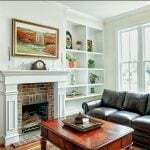 in this job need to have experience in old bungalows. I won’t like to fix it and regret later. I really need someone that can do a good job. Thank you. I am having my roof replaced and the roofer recommended that my chimney showed the need of some repair. 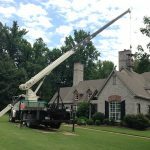 The roofer would prefer that the chimney concerns be taken care of before his work begins. I would like an estimate for this project. This information is very helpful. I just had my chimney repaired and this tells me they did not do what they should have, as I suspected. I was told after the fact they only repaired loose brick.